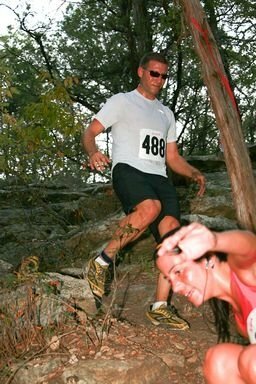 Last weekend, I particpated in Pure Austin’s XTERRA Emma’s Revenge 18K trail run. It was fun race out in Emma Long Park involving two 9K loops. I have doubts that the actual race was a full 18K, but I managed to finish in 1:12:08 which landed me 11th overall and 4th in my age group. I just missed getting an award… it looked like a gigantic alka seltzer tablet! This upcoming weekend, I’ll be in Portland to run the Hood to Coast relay with Team Smart! 197 miles and sleep deprivation here we come! Wish me luck!